Hamby Home(in)stead ...: Whatever floats your ... cow?! 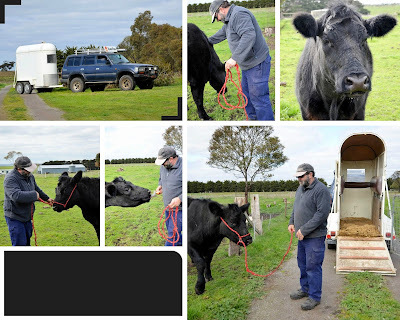 How do you get a cow onto a horse float? With a great deal of difficulty! Once our container was loaded, Nick drove Elmer down the driveway, leading the way for the truck. When he returned, he was towing a hired horse float. There was some joking that he really should have found a cow float! Regardless of what it was called, Tea was completely unimpressed by the skinny wheeled conveyance. And she wasn't falling for apple bribes two days in a row, either! It required our concerted joint efforts to heave her onto the trailer. I failed to get footage of Nick grass skiing behind Tea as she raced away from the float! That sight may well have been the day's highlight! 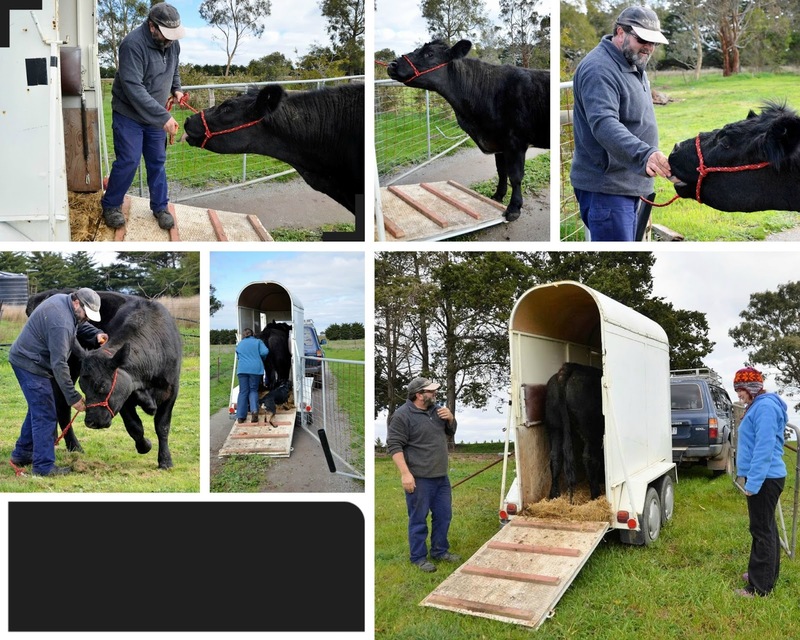 I'm not sure how long it took for us to win over the cow but we finally had her inside the float and were able to move her to temporary accommodation. She seemed to like her new quarters but definitely didn't like us much after the floating experience.